This book is unique in providing a comprehensive, up-to-date synthesis of what is known about soil biodiversity and the factors that regulate its distribution, as well as the functional significance of below-ground biodiversity for ecosystem form and function. It describes the vast diversity of biota that live in the soil environment - the most complex habitat on Earth - and discusses the factors that act as determinants of this diversity across different spatial and temporal scales. The Biology of Soil also considers how biotic interactions in soil influence the important soil processes of decomposition and nutrient cycling . It demonstrates how interactions and feedbacks between diverse plant and soil communities act as important drivers of ecosystem form and function. The importance of these relationships for understanding how ecosystems respond to global change phenomena, including climate change, is discussed in depth. Much is still to be learned about the soil biota and their roles in ecosystems, and the author highlights some of the many challenges that face ecologists in the exploration of soil. 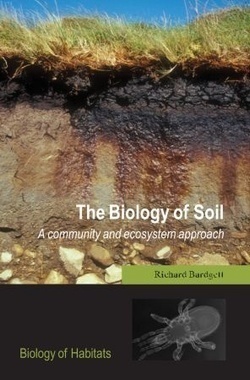 Richard Bardgett has wide experience in soil and terrestrial ecology, and his background of research in many ecosystems is reflected in this book which is the most comprehensive, up-to-date volume currently available in soil ecology. It provides an introduction to the biology of soil, and it also discusses the most recent developments in this progressive field of ecology. The importance of soil biotic interactions for community and ecosystem ecology is illustrated through the use of numerous examples and case studies. The Biology of Soil provides an excellent, easy to read introduction for anyone working in the field of soil ecology and related disciplines, and will be ideal for students taking undergraduate and postgraduate courses in soil ecology, plant-soil relationships, ecosystem ecology, and land management. Readership: An accessible text suitable for both undergraduate and graduate students taking courses in soil ecology and ecosystem science, as well as professional researchers in the fields of ecology and environmental biology requiring a modern overview of the topic.